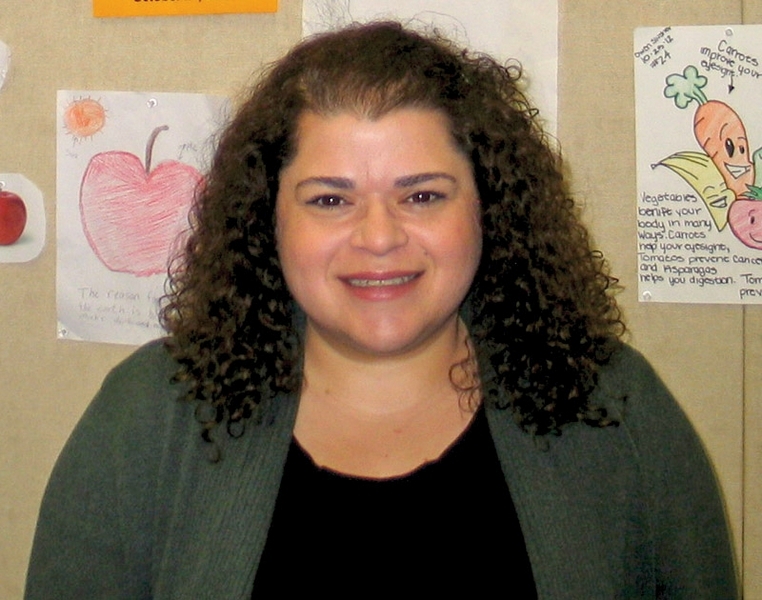 TAHOE/TRUCKEE – Kat Soltanmorad dove head first into her role as director of food services for the Tahoe Truckee Unified School District in August and has been described as a “whirling dervish” in the district offices and school kitchens. She’s been working aggressively on the district’s goals to increase the appeal and nutritional value of school breakfasts and lunches while reducing waste and balancing the department’s budget, which has been operating in the red. Soltanmorad was the top pick of 12 candidates vying for the job. Soltanmorad, a registered dietician, was most recently living in Southern California where she was nutrition coordinator for the Orange County Department of Education, responsible for the nutrition and health programs for seven school districts and 80 schools. She and her husband were excited to return to Tahoe, where her husband grew up and they’ve spent a lot of time since, returning to Carnelian Bay where his family had owned a home since the 1970s. Although the food services department has many opportunities for improvement, Soltanmorad seems unfazed by the tasks required to meet the district’s goals. She noted that the district was already on the right track to recovery when she was hired. An evaluation of the district kitchens by an independent K-12 child nutrition consulting firm was done early this year at the suggestion of Beth Hirsch, a parent who spearheaded the School Food Improvement Program, a committee formed by the Tahoe Nutrition Coalition in 2010. The findings of the evaluation helped the School Food Improvement Program and district administrators outline key areas for improvement. The short term goals for the district include: reducing the food services budget impact on the district’s general fund; providing quality customer service, fiscally sound and nutrient dense menu options for students; implementing recommendations from the consulting firm’s audit; addressing school site production and equipment challenges; and creating a 2-year strategic department plan to include revenue and marketing goals. One recommendation of the nutrition advisory firm that is already in place is a second chance breakfast program. Realizing that not all students may arrive in time for when the first breakfast is served and that students may not eat until lunch otherwise, which can interfere with students’ ability to focus on studies, many school sites are now offering a second chance breakfast for students served at 10 a.m. during their first break or recess. Soltanmorad is evaluating strategies to meet district goals, including whether on-site scratch cooking or centralized production of meals at one kitchen or a combination of both will provide the best fresh, great tasting meals while being fiscally sound. She is looking at possible reduced food costs due to bulk ordering and producing less waste and meeting district greener environmental goals. Soltanmorad believes that the key to success in a food program is nutrition education and partnering with students to provide meals that they will want to eat, instead of ending up in the trash. Soltanmorad plans to teach nutrition classes during PE periods to all district students. In addition, the district is partnering with Harvest of the Month to serve in-season foods that students have studied and tasted. Students will also be invited to compete to create meal plans, based on nutrition standards, that will be voted on and the winning students’ meals will be served and highlighted on the monthly menu. Student artwork will also be featured on the monthly menus and displayed at the schools through work with elementary and middle school art programs. Soltanmorad also plans to form Student Nutrition Advisory Clubs at the middle and high schools, which will be led by on-site food staff to promote nutrition education and healthy eating on campus. With Soltanmorad’s drive and experience, Tom Gemma, executive director of administrative services, believes that with time, the food services department can thrive and be fiscally sound. Along with Soltanmorad and the School Food Improvement Committee, they are eager to see TTUSD’s school dining become a positive and healthy experience for our students.